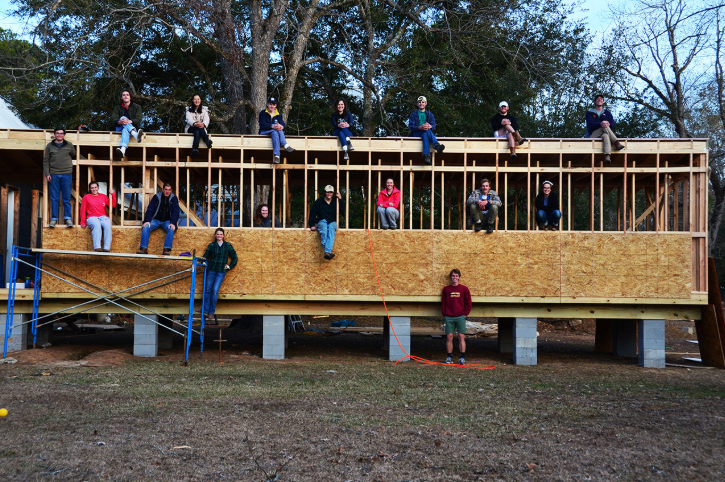 Nestled near the Black Willow River in Alabama and focusing on community-led design, The Rural Studio part of Auburn University, has committed to guiding the next generation of land-based activists. Along with farming, students learn to collaborate on designing and building projects. The studio was founded in 1993 by architects Samuel Mockbee and D. K. Ruth. It is led by UK-born architect Andrew Freear. Each year the program builds five or so projects - a house by the third-year students, three thesis projects by groups of 3-5 fifth-year students, and one or more outreach studio projects. The Rural Studio has built more than 80 houses and civic projects in Hale, Perry and Marengo counties. 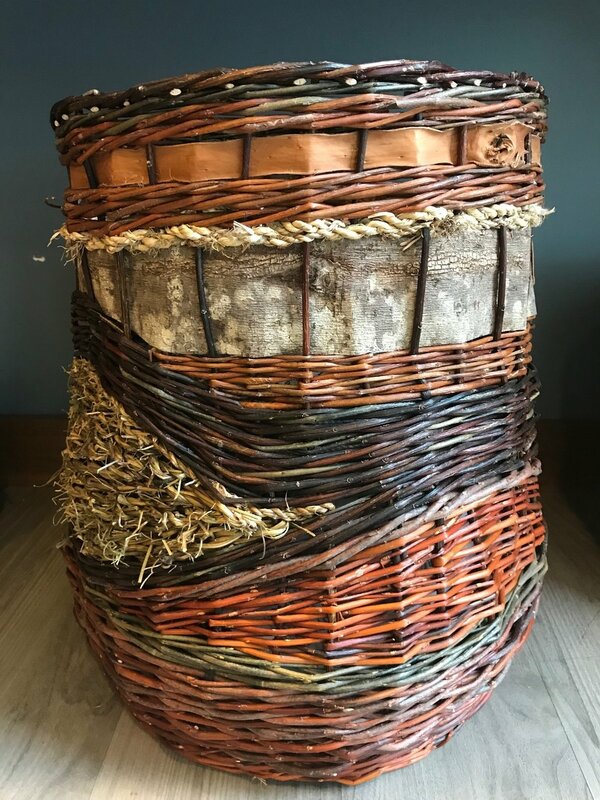 Nestled in the senior living community near Kellogg Creek, Milwuakie (south of Portland) lives the enigmatic basket weaver, James Carthel. A retired school principal and native of Texas, James, now in his 80’s, focuses most of his time on gardening and basket making. 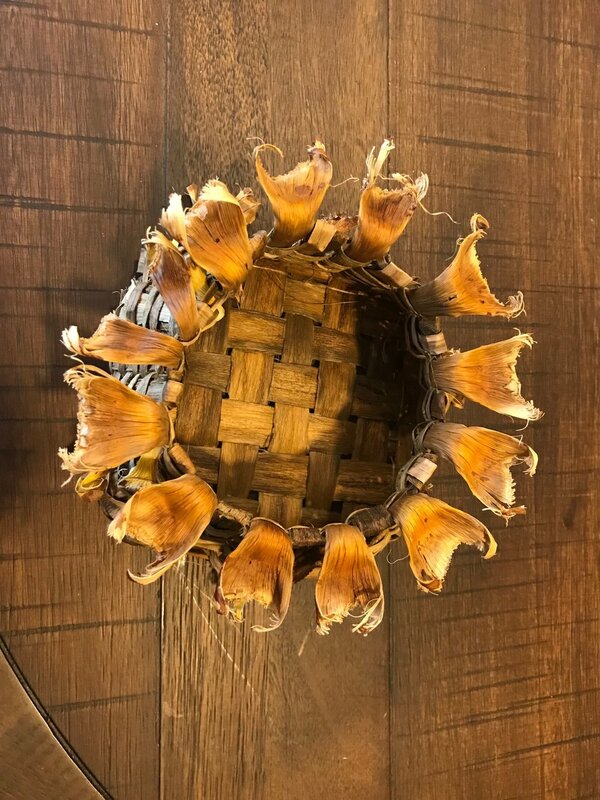 Using everything from Poplar to Cedar, Yucca and Grape and from Kudzu to Walnut, James has become versed in most of the known basket fibers in North America. No great basket maker, however, is complete without using unappreciated fibers! Below, James’ mini recycled plastic baskets. 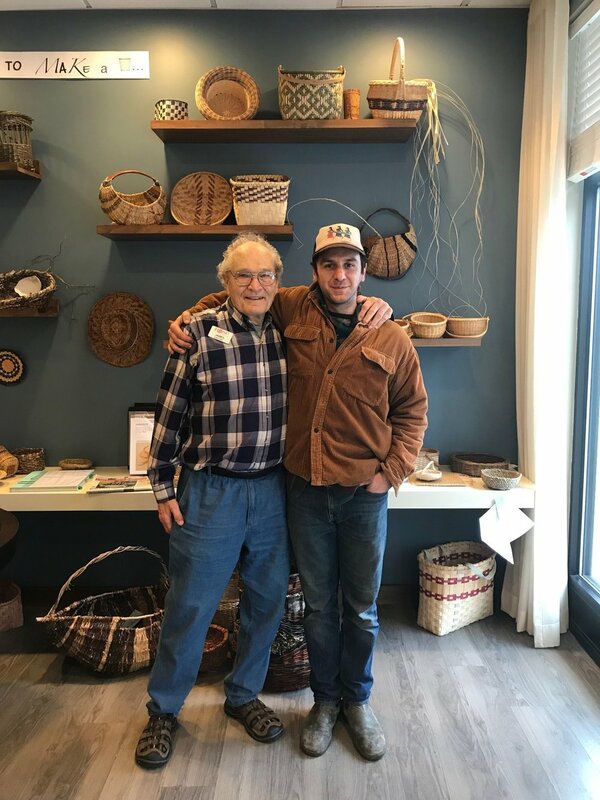 An avid member of the Columbia Basin Basketry Guild, learning closely from native elders, as well as once a board member of the Texas Basket Weavers Association, James has honed his talents and is recognized in Oregon, around the country and even internationally - when I visited with James he had just been in contact with weavers in St. Petersburg, Russia. Keeping this art alive has been Jame’s commitment to his natural environment. Robert Burle Marx (August 4, 1909 – June 4, 1994), was an eccentric Brazilian landscape architect, painter, industrial designer, and all-around naturalist. A natural-born plant enthusiast/breeder, Burle Marx made his mark* by designing from within the natural setting. From major highway arteries to private residences and from restoration initiatives to sprawling pubic parks he's brought a sense of whimsy and inspiration to my life and certainly, to my work. 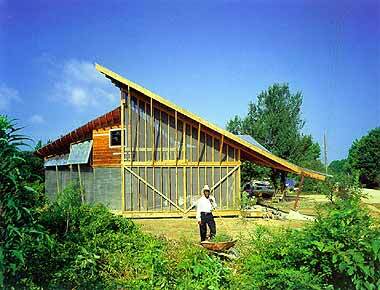 In some Permaculture Design Courses (PDC's), little thought is focused on the designing-element. However, at our Urban PDC's, we truly emphasize creativity and thinking from within the property rather than from a two-dimensional piece of paper. Burle-Marx had a way of brining his projects to life, something permaculture strives to do both with the human element and with the land. — Ben Law, "The Woodland Way"
Kent Food Forest, UK - a managed ecosystem for wild and human habitat. When I was younger, forests had always been beautiful, unmanaged, wild and regenerative landscapes; human involvement was only for play and learning. Yet, as I began to understand (I was a late bloomer) the layers of forest ecologies I slowly learned that humans now play, and have played for many years, an integral role in the cycle of forests. In this post, we'll be diving into a particular practice of human intervention termed, Coppicing and Pollarding. Coppicing: Successful cutting of broadleaf woodland during the dormant winter period, keeping alive the stump or ‘stool’ and allowing for future growth of fine straight wood. This practice feeds both human and tree while allowing the leaf fall to return the needed-nutrients back the roots. Food, fiber, firewood, and building material are a by-product and value-added yield from this practice. Pollarding: Similarl is the practice of harvesting the top layer (at least roughly 6’ above the ground). The same growth appears as coppicing - strong and narrow saplings - but instead from the top layer of the tree. Historically cultivated around animals to keep fresh young saplings away from hungry grazers. This form of agroecology has its roots all over the world and in the last few centuries has gained environmental traction in the UK. Ben Law, (mentioned above and in image) is a fellow I've been following for around four years now - his books (among those listed below), go pretty deep into not only copping and pollarding but also the financial structure of resilient forest management, cottage industries, and water restoration. For instance, sweet chestnut, ash, hornbeam and yew are just some of the tree species Law focuses on in his books - listing average pricing/acre @ around $1200/yr. From timber to food and and from animal forage to biochar. Not to mention sustaining the living habitat for man years. 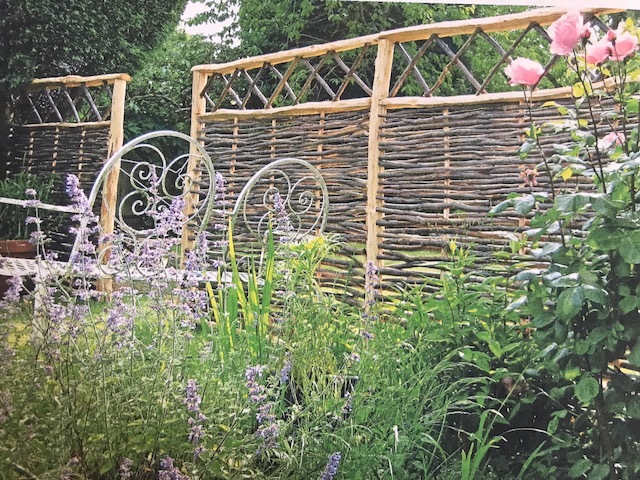 For a clients property, we're in the design phase of focusing on their perimeter fence line - taking the old design of a hedge, and incorporating coppicing/pollarding and edible fruits = "Fedge", or fruiting hedge. Not only creating a visual and sound barrier from the road but also cultivating an abundant food/timber-producing habitat. Beavercreek, Oregon - potential fedge along this northern edge. On our homestead here in Oregon, there's a beaked hazelnut (a solid coppicing species) - its wedged between the fence-line and our wood storage. We use it for woven bamboo fence posts and kindling. Note the catkin growth, a sure sign of when one should be pruning (coppicing/pollarding). Whether you're on a small urban lot or a multi-acre homestead, this practice and other agroforestry techniques can greatly improve abundance, habitat and livelihood! *** "Tree Crops" (1929) was one of the catalysts for permaculture (1970's) - note the byline: A Permanent Agriculture! Here in Portland, we have super dry summers and consistently rainy wet seasons - making it a prime location to incubate creative and effective responses to water management. Community-led Food Forests: This can be variable in size; mimicking the layers of a forest, with food/fiber-producing overstory, understory, vines, shrubs, ground cover, mushrooms etc. These dense plantings (historically organized in the city by Portland Fruit Tree Project) can benefit the following: Pollinators' habitat, wildlife habitat, food for the community, learning, medicine, entertainment, micro industry, carbon sequestration, shade (inhibiting the heat growth of an urban environment), erosion control (in certain areas), and specifically water purification (allowing water to flow over these areas and be absorbed by the roots and cleaned by the roots as well). Green Roofs: A method of populating rooftops with plants and naturally-safe materials to improve otherwise degraded and underutilized surfaces. The result can improve and benefit: wildlife, cleaner rainwater, carbon sequestration, temperature regulation (both in the city on a whole and within the given structure), provide habitat restoration, teaching opportunities, food production, pollinator promotion, and beauty. The Sanctuary @ Planet Repair Institute - notice the blending of the green roof with the rest of the landscape. Rain Gardens: An element that allows either the homeowner or business-owner a way of moving excess water on their site into a beautiful and multi-functional swale. This swale is lined with either EPDM, a geosynthetic layer or gleyed with clay; adding stones and planted with sedges, rushes, grasses etc. This garden or swale has the ability of both capturing water from roofs or runoff, creating habitat and then purifying water before it makes its way back into our waterways or water table. 2. Name two reasons that investing in green infrastructure might be a be a better choice for a community than investing in or updating hard engineering, like storm sewers? A bioswale in action next to our office, on Divison St.
4. Studies show that impervious land coverage greater than 10% degrades watershed conditions. In Portland, 49% of the land area is impervious. Name some specific ways that the impact of impervious area could be reduced? Pervious driveways - replacing hard pack (re-using this for building material) and replacing with spaced-stone - allowing water to percolate through the surface rather than pooling up, becoming toxic and returning to our rivers. Street Bioswales - adapting to urban street waterways and capturing at places of build-up, creating natural habitat and encouraging tree growth for passive solar mitigation. Fewer vehicular streets! - for cars and more natural pathways (for foot traffic) in addition to trees/shrubs/habitat etc. 5. What are some ways you could incorporate stormwater into a site in an aesthetically pleasing way? Constructing a 1200 gallon IBC tote (painted to reduce UV damage) wrapped with a wooden lattice and trained jasmine, grapes or kiwis for passive cooling in summer and warming in winter; keeping gambusia (mosquito fish); Overflow to a wildlife pond and then overflow into a drainage ditch / rain garden. Downhill side of rain garden planted with water-loving plants such as elderberry, willow, sedges, and camas. Bridge over pond for viewing and for shade/safe habitat for amphibians. Croft is the old Scottish word for homestead or small farm - in this video we're transported to the minimalist landscape where land, animal, mineral and human are one. Winter Homestead Tasks: Mend, gather, sleep and feast...and sleep! If you're interested in more of these types of updates, you can sign up for their newsletter here. When you receive a permaculture design from us here at Witch Hazel, we typically include an edited version for our PNW climate - aptly called "The Oregon Forest Gardener's Year". "Sedges have edges, rushes are round, grasses have joints when cops aren't around." Despite what many permaculturalists may preach, grasses are, in fact, useful - sure, not the typical Bermuda grass found rhizomatically (and systematically) taking over land everywhere; nor even the acres upon acres of cultivated grass seed right here in the Willamette Valley - rather the life-giving legacy of this truly remarkable and maligned plant. We love using grasses in our permaculture designs! From food to fiber, these old plants have endless benefits to any living landscape. Sometimes folks mention 'grasses' when referring to all different types of plants - a good way of remembering this is: Sedges have edges, Rushes are round, Grasses have joints when cops aren't around. 3. Grasses (have joints when cops aren't around) - From bamboo which is a wonderful food, shade and building material to corn, the food of life - all effective foods and ecological guild members. Medlars are a unique fruit - under loved by some but revered by others - this tasty custard apple-like tree has become a new love for me. Unique and under appreciated foods tend to find their way into my life actually ;). Cultivated in southern Europe - in parts of Bulgaria and modern day Turkey, the Medlar is harvested around the same time as the persimmon and, instead of being deliciously edible right off the tree, Medlars need to go through a process of ripening called bletting. 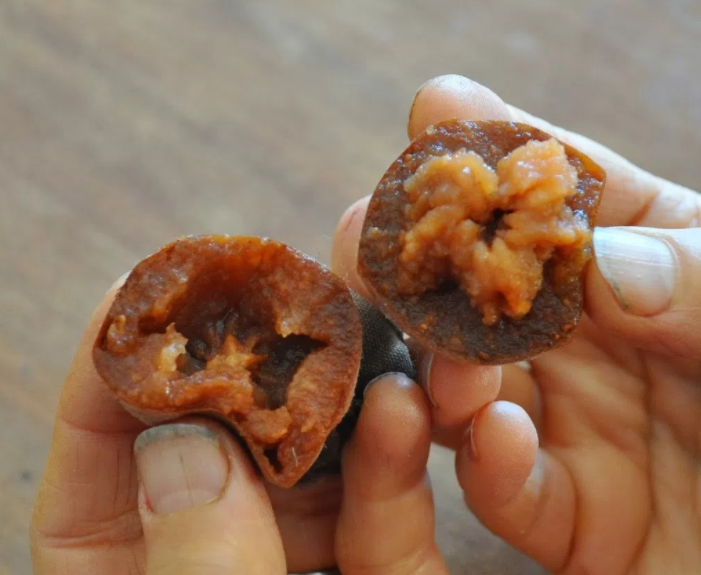 Bletting is similar to letting fruit ripen - like a banana or an avocado - and with Medlar, the longer ya wait, the better they get. Simply harvest the fruit when dark and firm (first picture above) and store in a typical cool, dark place. You know they're done when soft and developing a rich dark skin. I preferred cooking them up with butter...lots of butter, maple syrup and some nutmeg. This past weekend I had the pleasure of joining my dear friend Adam, from GeerCrest Farm, in one of their many seasonal goat harvests. In Hawaiian, I'm told, a kumu is a teacher - Adam is my (and others) kumu; A patient, wise and goofy brother who, when he was younger, was a devout vegetarian. Through a wild incident of accidentally killing a rabbit with an oversized cucumber, Adam embarked on a path of reconnecting to his omnivorous side. Through a meat processing center, being a farmer, and working as a massage therapist, Adam has now gained a termendous amount of experience (and reverence) for raising and harvesting his own meat. The kill was well tended and fast - Adam with a quick draw of the knife around the neck after the goat (hazel) had succumbed to his pressure of being on the ground. We hung her by the Achilles heel, removed the hooves, and skinned her gorgeous hide. Once removed, Adam walked us through a gorgeous anatomy lesson from mussel to organ and from fascia to bones - step by step, meticulously paying tribute and honoring every single inch of hazel's body. For those of us who've not spent a significant amount of time around harvesting our own meat, these experiences can be life changing - it was for me - and although butchering has been part of my past, you can learn something new every time. More info on goat butchering here.